Everything I said in the technical analysis and the articles of the last two months proved to be correct. I said then: “The resistance of $0.30 can not last forever” considering the good fundamentals of Ripple. Here’s what those who have patience have been rewarded. 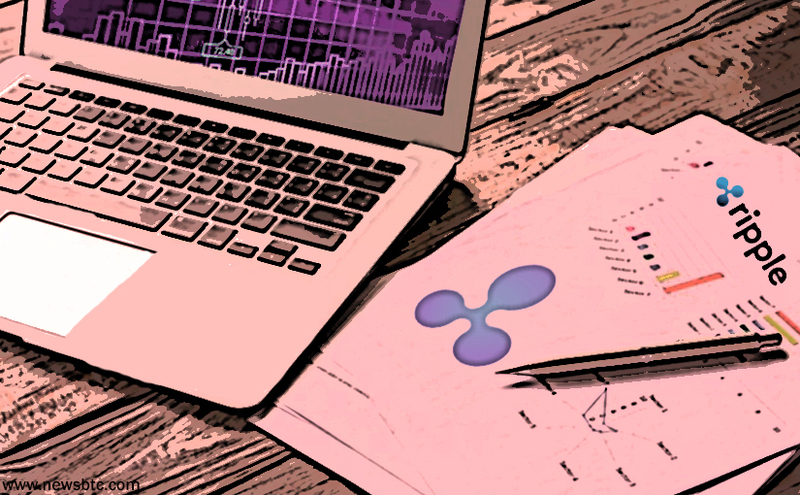 At (7 UTC) I write the technical analysis, the XRP / USD price looks to exceed the previous maximum of $0.85. XRP/USD is getting closer to the target price of 1 USD. What can we expect in the next few days? At the time we write the technical analysis, we are still in an ascending trend. Last night I had a correction up to the level of $0.61. After this correction the upward trend seems to continue. Now that the XRP/USD price has increased so much it would be good to be cautious and think that anytime there may be a correction. It’s true, if some positive news appears, the price could go up to $1 before a correction starts. The $1 price is a psychological resistance that many traders will sell. Do we have the certainty that at 1 usd we will have a strong correction? Of course not! But, it is good to have a cautious attitude. You have a Fibonacci retreat on the chart. A price correction up to Fibonacci levels of 38.20% or 50% is normal after this increase. Notice that the 50% withdrawal rate is at the price of b0.497 USD. This area has in the past been a difficult psychological area to pass. At this moment the price has achieved a minimum area of ​​0.61 USD. If the correction is strong, I do not think the price will fall below 0.50 USD (50% Fibonacci withdrawal). This is the working hypothesis with the data we have on the chart at this time. Can not give a prediction for trend direction for the next days. The chart will keep you at that point, more data. At this point, the MACD tool (daily chart) confirms the strong upward trend. Keep track of price movements, traded volumes and order books on exchanges. This way, you will be aware of the price movement trend. Do you think i must invest in ripple ? How many ripple have you ? The buzz around Ripple that caused me to buy it was the possibility that a large number of banks would begin using it. Just recently some Japenese banks did start using it but, as I understand it, they’re not really using the XRP that people like us can buy, they’ve fired up their own servers and are running their own copy of this; ie they’ve cut XRP out. This makes sense that they would do it but now I’m thinking they might ALL do this and then where is the value of XRP? I’m trying to think of a reason not to sell out completely and moving into other coin. Any thoughts?